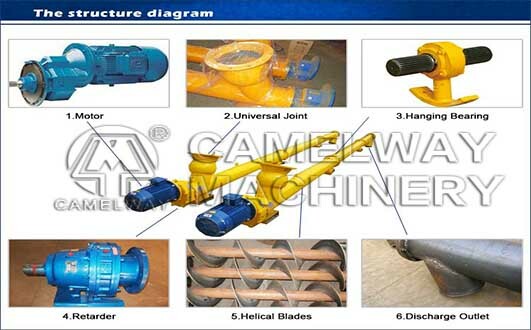 Screw conveyor is the most important equipment in concrete mixing plant. Concrete mixing plant of the screw conveyor is made up of the main body, speed reducer, electromotor, in and out of the mouth, etc. Each power house is equipped with a newly-modified LSY series of screw conveyor, powder by screw conveyor entering the weighing hopper. Cement mixing plant of screw conveyor screw vane is variable screw, screw machine assembly points more section, the standard length is 3 m/day, easy to move. The newly-modified LSY screw conveyor length is 6 to 15 m, conveying Angle for 0 °to 45 °, it also can be configured according to customer’s request. Adopt high-quality steel pipe with good integral rigidity. Adopt optional universal ball joint which facilitates installation adjustment and steering. 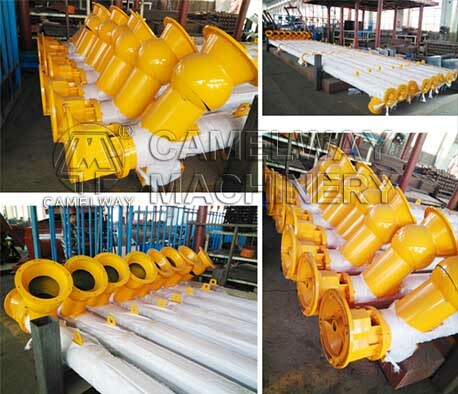 With high-quality reducer and heavy-design it has the advantages of large torque low noise no dust leakage long service life. The design of double pitch for reducing the compress extent of the material in transportation is especially suitable for long-distance transportation of cement and other powder materials. Large stock for common diameter of 219273and dimension & angle can be customized according to your need. 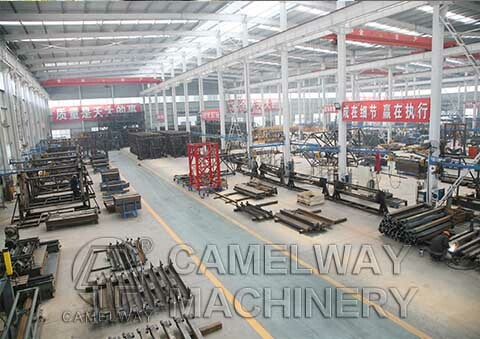 This entry was posted in Solution and tagged concrete baching plant, Concrete Batching Plant by camelway. Bookmark the permalink.